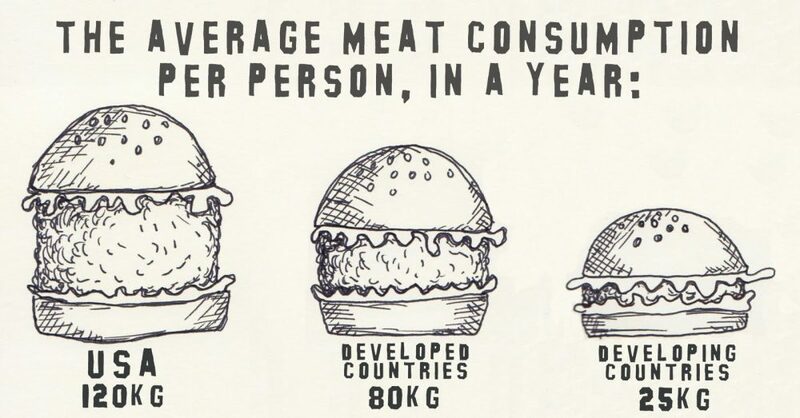 Diets rich in meat can be one of the factor in the prevalence of global obesity. Researchers at the University of Adelaide, Australia, reported in a study comparing meat consumption and obesity rates in 170 countries. 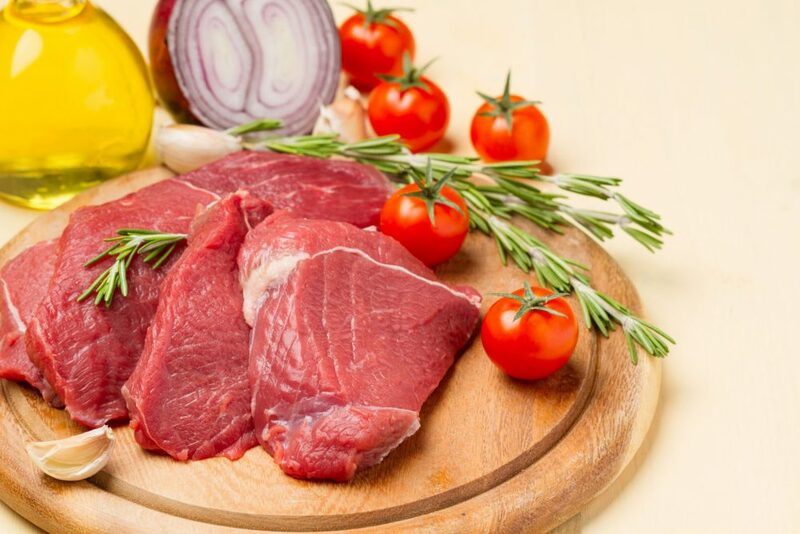 Meat Consumption has been linked to higher intake of total fat, saturated fat and total calories, and a reduction in the consumption of vegetables and higher risk of chronic disease, such as cardiovascular disease and type 2 diabetes. Animal products contain much more fat than plant-based foods. Because vegetarian diets are the only diets that work for long-term weight loss, it’s no surprise that population studies show that meat-eaters have three times the obesity rate of vegetarians and nine times the obesity rate of vegans. It’s possible to be an overweight or obese vegan, of course, just as it’s possible to be a thin meat-eater, but adult vegans are, on average, 10 to 20 pounds lighter than adult meat-eaters. Animal products contain outstanding amounts of antibiotic (what the meat industry refers to as “Bio-security”). This term is further explained as the levels of drugs “they” [the meat, dairy, and poultry industry] consider safe levels. There are also residual amounts of anabolic and androgenic steroids within the fat and muscle of the animals and dairy products. Eating 3 – 5 meals high in protein through out the day is not healthy. Some nutritionist neglect to note that having animal fats coursing through our blood makes the blood fat [lypemia], which stays that way for up to four hours. During this time fats actually cover the surface, actually preventing insulin from penetrating the cell to bring any glucose molecules present inside the cell. Furthermore, diets high in animal fats contain pro- inflammatory fat [Arachidonic acid] that causes the release of a particular type of hormone that causes inflammatory conditions within the body [arthritis, psoriasis, Crohn’s disease, to name just a few]. These diets also intensify the symptoms of Multiple Sclerosis, PMS, auto-immune diseases and disorders. A high protein intake can damage the kidneys and leach calcium from the bones. 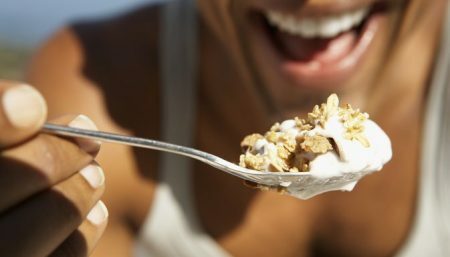 Also, the lack of fiber disrupts the digestive tract, leading to constipation as water is pulled from the colon to aid the kidneys in diluting the ammonia load that results in the breakdown of animal proteins in the body. Quite simply, the more you substitute plant foods for animal foods, the healthier you are likely to be. 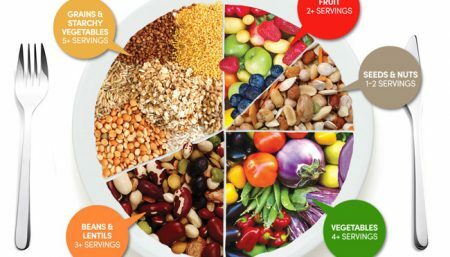 Good health Do Vegans Follow An Unbalanced Diet?